Here are some of the questions I’ve been asked from people wanting me to recover the files from their RAID hard drives and servers. Many people run RAID hard drives these days – RAIDs are multiple disk systems that distribute their files across all the hard drives in the system. These systems are often called servers. 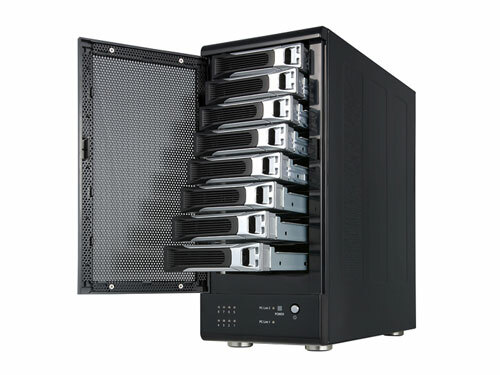 Professional servers are made by Dell and HP, but many smaller NAS systems now run RAID too and are found in the home. Recovering data from RAID servers and NAS hard drives is a very tricky business as once the data is recovered from each of the hard drives in the server, it has to be pieced back together again, very much like a jigsaw. The recovery of files from complex RAID systems should never be attempted yourself if you don’t know what you are doing, so if your data is valuable, contact a RAID recovery specialist such as (in the UK) Data Clinic. I wrote an interesting article about using Data Clinic’s RAID data recovery services a few weeks back for an HP Proliant server and you can read the article here. I contacted you just before Christmas/New Year about my Dell RAID 5 harddrives that are no longer working. I had the RAID checked by another company but they weren’t able to recover the data due to not having spare parts to do it. Do you think you could have a go? I’ve got a new spare drive to transfer the files to in the event that you are able to recover the files. I have a Lacie Thunderbolt dual drive external raid hard drive with one failed drive but unfortunately running in raid 0. The data isn’t all that crucial as I have back ups but it would be good to diagnose and recover anything on there anyway. I have 2 Seagate Barracuda 7200 1tb hard drives for my desktop PC which I had configured for RAID 0 that failed recently. I keep an external SSD as backup should this happen. But I hadn’t done this recently so there is some data which hasn’t been backup up. I’m unsure if the is array or mechanical failure has occured. There is a beep noise from 1 of the drives upon startup. Both drives are also out of warranty. Remember, RAID data recovery if far more complex that normal data recovery from just a single hard drive. Don’t attempt it yourself as you will more that likely lose all you files and damage the system so badly that not even a RAID recovery specialist will be able to get them back. My advice? Visit the link the Data Clinic above to get your RAID data recovered.